The RUBY XL HD has a larger screen and a high-definition camera for the sharpest possible image. 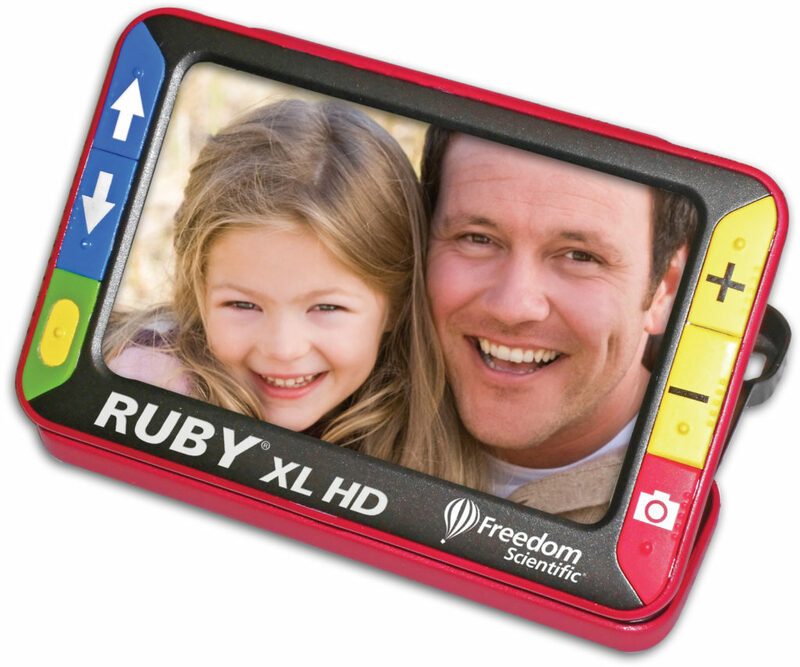 RUBY XL HD has all the advanced features in RUBY HD, plus a built-in reading stand that holds the screen at a comfortable angle as you slide it across a page of text. The RUBY XL HD is available in two models: RUBY XL HD and RUBY XL HD+*. 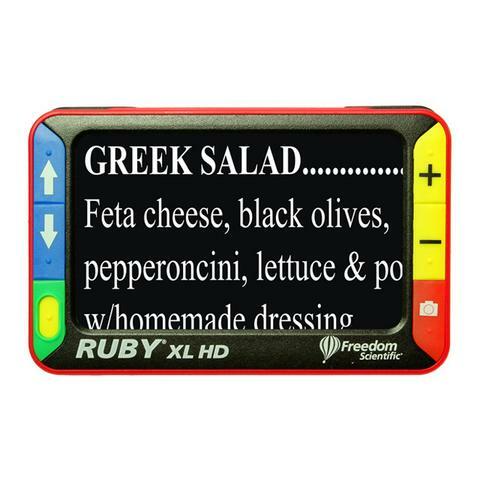 RUBY XL HD is offered in traditional red with color buttons. RUBY XL HD+ is offered in gray with high-contrast, black and white buttons.